Asus has released more Netbooks than any other vendor and not only under its own brand name but predominately using Eee PC name for its entry-level machines. However, the first thing you'll notice about the Eee PC S101 (£449 inc. VAT) is how little it resembles an entry-level machine. Designed to be the 'executive' model of the range it has a look and feel more of the Asus U6 ultraportable laptop than other Eee PC Netbooks. There are two models available, the Brown Mocha of our review unit and also a version finished in Grey. Unlike other Eee PCs, you won't find the battery protruding from the back, as the four-cell pack is hidden away on the base of the machine. The whole device is a highly portable 1.1kg, and while we were hoping for a larger battery, we found that it could run for over four hours without too much trouble. However, it is how slim this device is that impresses the most. Measuring 25mm at its thickest point, this is truly a thin and light device. Battery life can be enhanced using the Asus Super Hybrid Engine, which is a power management utility that offers four levels, from Auto-Saving mode through to Super Performance, which overclocks the main CPU. This mode should only be used for short periods, such as when needing to edit photos. Build quality is impressively high, with the high-gloss finish of the lid and the brushed metal of the palm rests giving it an amazingly tactile feel. There is also a chrome effect trim around the edge of the machine and on the hinge that firmly holds the screen in place. It's a standard 10.2-inch panel with a 1,024 x 600-pixel resolution, but the LED display is brighter and sharper than other Netbooks we've seen. The screen is backlit, so can be switched off whenever the need arises. Graphics are handled by the integrated Intel GMA 950 chipset, which is more than adequate for handling video as well as office-based tasks. The keyboard that sits below the screen fills the whole width of the 185mm machine and is amazingly comfortable to use. The keys are well built and firmly mounted and are 95 per cent full size. The whole time we were using this machine, we never once felt as though the keys were cramped, making for a comfortable typing experience. The touchpad can often be a compromise on Netbooks, but we found it a good size and it responded well. There is a single-strip mouse button that has dual-click functions and while it's rather small we found it worked well. When it comes to performance you won't find anything too out of the ordinary. Using an Intel Atom N270 chip and 1,024MB of memory, this is clearly a Netbook. Storage is made up of a 16GB SSD drive and Asus also bundles a 16GB SDHC card with this machine, effectively doubling the storage space. You'll find the SDHC slot hidden away on the rear of the machine, along with the Ethernet and VG-out ports. Shipping with Windows XP, it is not known whether Asus will be making this model available with Linux. We found Windows loaded quickly and ran smoothly. The whole experience of using this machine was great, with the keyboard comfortable and performance ideal for the mobile user. 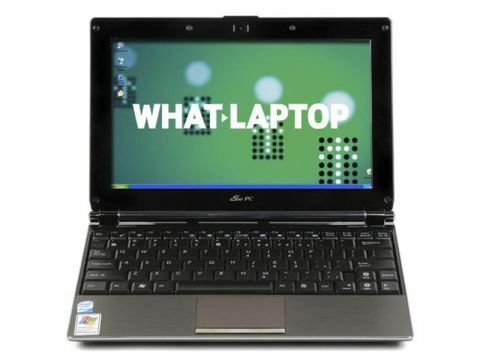 At £449 (inc VAT) the Asus Eee PC S101 may not adhere to the idea of a low-cost device, but when it comes to comfort, usability and style this is easily the best Netbook on the market.